Bishoujo Senshi Sailor Moon S: Jougai Rantou!? Shuyaku Soudatsusen (roughly, Pretty Soldier Sailor Moon: Outdoor Brawl!? Star Scramble) is a fighting game that was developed for the Super Famicom in 1994. Although the game never officially left Japan, the competitive fighting game community has taken a shine to this anime-based release. And with a variety of staple fighting game mechanics wrapped up in the iconic imagery of one of the most cherished franchises of all time, what’s not to love? That said, you probably won’t see high-level Sailor Moon at just any event. No, that responsibility typically falls to tournaments like Yabai Invasion, a joint venture between fighting game outfits Team Stickbug and The Skillions. As regular purveyors of niche competition, these two groups teamed up to host a special Sailor Moon tournament last weekend in New York City, showcasing just how wild this game can get. 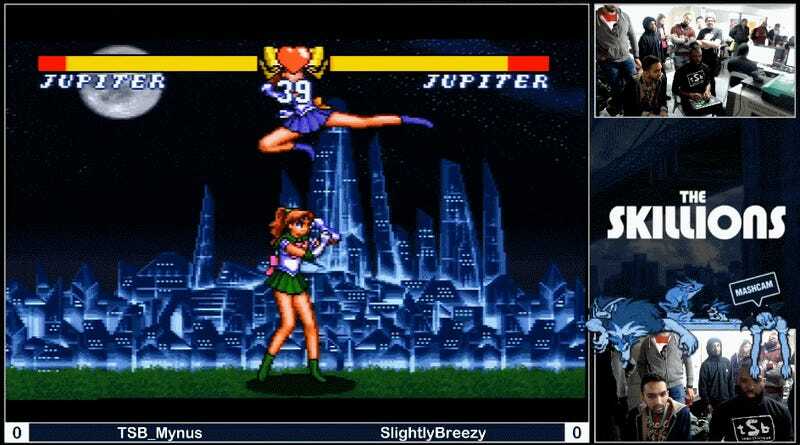 The playable cast is made up of the series’ original solar system representatives such as Sailor Jupiter, Sailor Uranus, and of course the eponymous Sailor Moon. Only one is omitted; sorry, Sailor Saturn fans. The characters are capable of using both normal and special attacks, naturally, but the way they move sticks out as one particularly interesting facet due to the game’s exaggerated dashing. Watch just a few seconds of Sailor Moon in action and you’ll see what I mean. Also, like many fighting games of the era, damage is extraordinarily high. 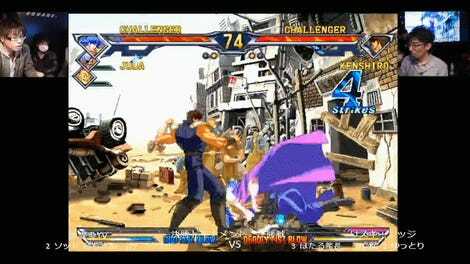 Messing up and getting hit by one decent combo or even a simple super often means the end of your lifebar. Sailor Moon competition at Yabai Invasion came down to Josh “NerdJosh” Jodoin and Tyrone Casey, otherwise known as XAQshinor (pronounced “executioner”). While he’s performed ably in modern releases like Guilty Gear Xrd and Marvel vs. Capcom 3, NerdJosh’s many years in the community have given him extensive knowledge of just about every fighting game in the world. As such, it wasn’t a surprise that he made it to grand finals, but that’s as far as he got. XAQshinor sent him home in second place, utilizing Sailor Mars’ various fireballs to keep NerdJosh on his toes and away from victory. It wasn’t as flashy as earlier matches, but it got the job done. If you’re interested in checking out more Sailor Moon action, Team Spooky has provided an official upload of the entire tournament.